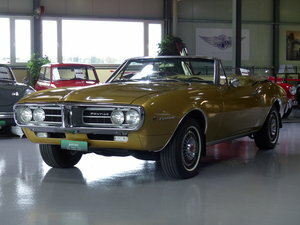 - The car on offer here is a 1969 Pontiac Firebird 400 Ram Air III Convertible. 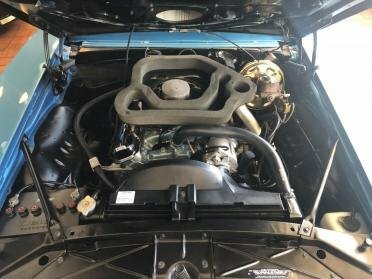 - The Ram Air III was a rare factory option package that featured functional hood scoops, higher flow heads with high performance valve springs, and a performance camshaft. 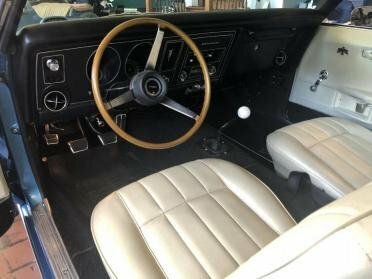 According to Hemmings, just 87 manual transmission Ram Air III convertibles were produced in 1969. - The car is finished in Blue over white vinyl, with a white manual top. 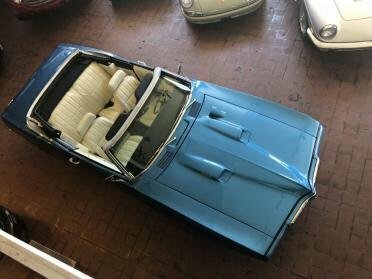 - The car is in collector grade restored condition, the underside is fully detailed as is the engine compartment and interior. It is well sorted and needs nothing except an enthusiastic new owner. - Th engine starts easily, runs well and has good power and torque. - The four speed manual transmission shifts well, and the clutch engages with authority. - All chrome and brightwork has been restored and all rubber is pliable and fresh. 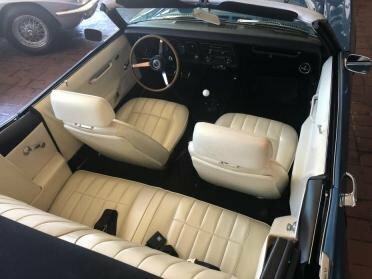 The interior, convertible top and trim have been restored. Within the last year (July 2017), over $12,000 major service work was done. The work included but is not limited to a new rear main seal, oil pan gasket, timing cover gasket, Disc brake conversion, radio repaired, fuel pump replacement, as well as and fuel pump and gaskets. At the same time the brake system was restored and upgraded with a disc brake conversion. - New brake line, and upper ball joints were replaced as well as the master cylinder. 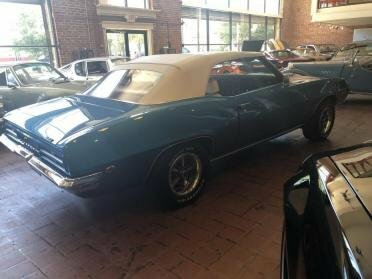 Tires were replaced as well as power steering high pressure line, alternator, carburetor, gas cap, headlight switch, mirror, Pontiac emblem, and spark plugs were installed as well. 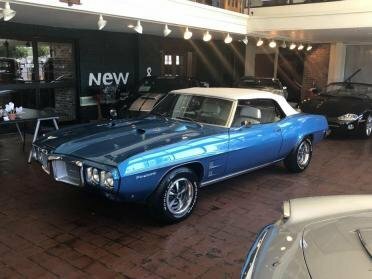 - The transmission received a full overhaul, with a new clutch, resurfaced flywheel, new transmission mount, bearings, and Hurst Competition Plus shifter. 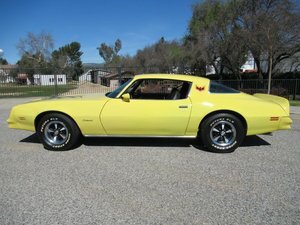 - All of the work was done with an opened checkbook; the disc brake conversion totalling nearly $3,000! - Additionally, the rear differential assembly was serviced with a new ring & pinion, axle bearings and bearing sleeves on the axle shaft, and new rear wheel studs. Recent work includes a new oil pump, valve lifters and oil pan. The engine compartment is detailed to a very high standard and the underside of the car is in near new condition. - This vehicle is offered with the factory owners manual and brochure. - The Ram Air III is a rare car and would make a great addition to any collection. - Whether you are a discerning collector or are just looking for a well sorted car for weekend cruises, look no further.